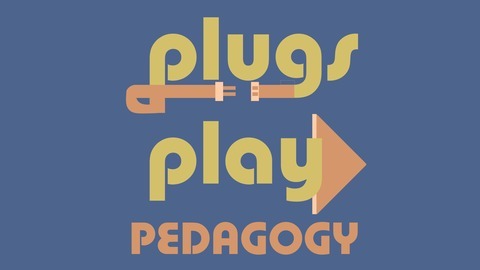 A playful, collaborative, monthly podcast on teaching writing and rhetoric in the 21st century Hosted by Kyle Stedman, Rockford University Also available on Stitcher (http://www.stitcher.com/podcast/plugs-play-pedagogy) and iTunes (https://itunes.apple.com/us/podcast/plugs-play-pedagogy/id909930552). Transcript available as a Google Doc here; check it out for more links, and feel free to comment on anything that needs comments. 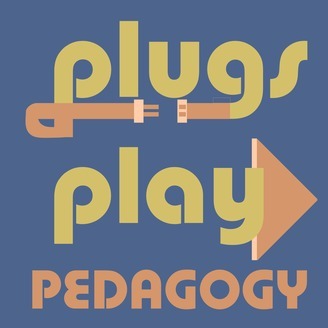 Produced and recorded by Kyle Stedman (plugsplaypedagogy@writingcommons.org; @kstedman), assistant professor of English at Rockford University, in cooperation with KairosCast and Writing Commons. This episode is co-edited with John Silvestro from Miami University, @j_silvestro, silvesj2@miamioh.edu. Jason Palmeri, @jasonpalmeri, is associate professor of English and Director of Composition at Miami University and author of Remixing Composition. Jason and John chat about how Jason got into teaching video, some of his assignments, and some of the theories that undergird his practice. Plus, they're both nice and fun. Next, John and Kyle talk about John's assignment of having students write scripts for movies that they don't actually produce. You'll hear two examples of those written scripts read aloud for the show by John and Sally Neidhard. And we talk about how kind of weird that is; Sergei Eisenstein is invoked. See the show transcript for lots of links and for the exact scripts the students wrote. Jason mentions Michael Wesch's work on YouTube. John mentions Kirby Ferguson's "Everything is a Remix" and Tony Zhou’s “Every Frame a Painting” series, including "F for Fake (1973) - How to Structure a Video Essay"
The show is licensed by a Creative Commons Attribution-NonCommercial 4.0 International License. Hylian Lemon, “Essence of Lime"